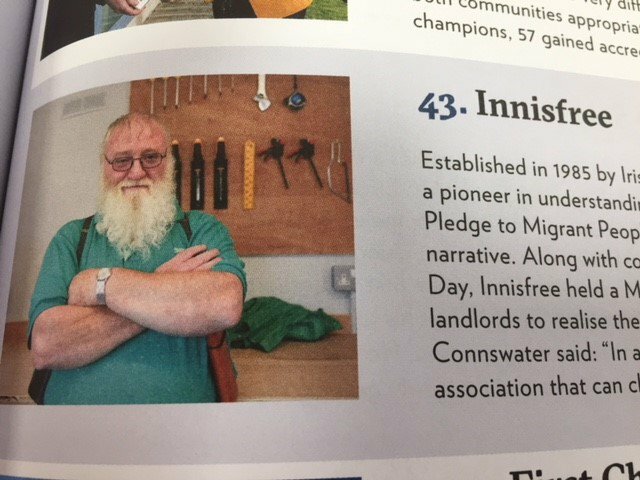 Innisfree is celebrating after being ranked 43 in the ‘Top 50 Landlords’ list by industry magazine 24housing. The list was compiled by 24housing to try and find the nation’s top landlords and to recognise best practice in the sector. Marvelous achievement and a great testimony to the quality housing standards provided. Often it is perceived that it is all about size, the larger the better. But having a strong vision, excellent customer care and an organisation/staff that are willing to go the extra mile ensures success.